Choose From Three Luxury Trim Levels For the 2019 Jaguar E-PACE | Jaguar Colorado Springs 2019 Jaguar E-PACE luxury performance SUV with 3 trim levels available for sale in Colorado Springs. The 2019 Jaguar E-PACE is a feature-filled SUV that is available in three amazing trim levels. No matter which trim you choose, you can count on agile handling, impressive capability, and head-turning style. Even the base model includes innovative driver assistance systems, exterior LED lighting, and a 10″ touchscreen for impressive infotainment. The E-PACE also has 17″ 10-spoke alloy wheels, heated door mirrors, and a front and rear parking aid. The Jaguar E-PACE is powered by an efficient 2.0L turbocharged 4-cylinder engine with 246 hp. It is standard with AWD on all trim levels. Move up to the E-PACE S model for a comfortable leather-trimmed interior with enhanced technology such as the Connect Pro Package. This package provides 4G Wi-Fi hotspots, Navigation Pro, and InControl® Apps. The S trim also adds on 18″ 9-spoke alloy wheels, power fold heated door mirrors, and leather 10-way front seats. Additional driver assistance features include Traffic Sign Recognition and Adaptive Speed Limiter. Choosing the E-PACE SE provides even more amazing features. That includes a Meridian™ Sound System, powered gesture tailgate, and 14-way memory front seats. This trim has 19″ 10-spoke alloy wheels and the Park Package which includes Park Assist, Rear Traffic Monitor, and the 360 degree Parking Aid. 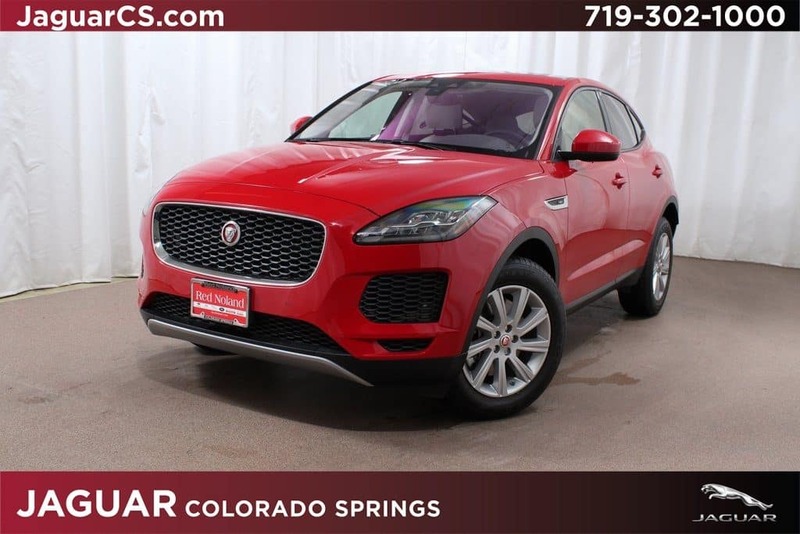 Stop into Jaguar Colorado Springs today for a test drive of this exciting performance SUV. We have several 2019 Jaguar E-PACE models for you to choose from. Check them all out and choose the one that has the perfect features for you and your family!